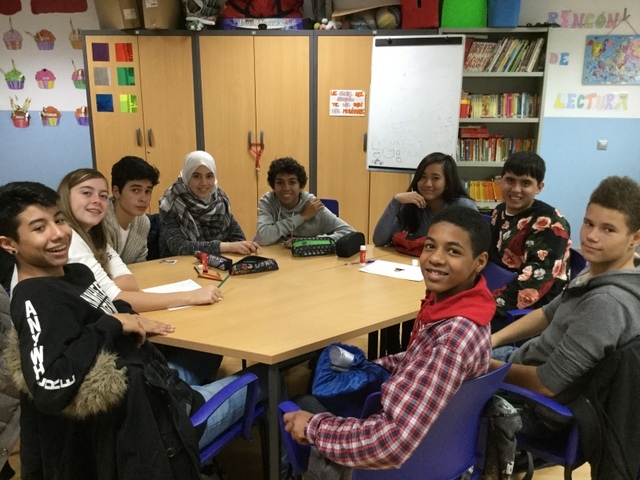 The objective of the bonding classroom is to host children from other countries and do not have the sufficient level of Spanish to join the group that would correspond according to their age. For a maximum of 9 months, they try to acquire the appropriate linguistic competence to be able to integrate into the ordinary classroom. Currently, 24 children from 6 nationalities work to achieve this goal.